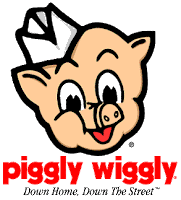 Madison Coupon Connection: Piggly Wiggly Deals 6/29/11 - 7/5/11! Check out Operation$40K's post for this week's great Piggly Wiggly deals! Wed. 6/29 - Tues. 7/5, 2011! Please note: Piggly Wiggly stores are individually owned. Be sure to check your store's ad to be sure prices are what you are expecting.